What a beautiful wedding! We ended June with this fun couple and their fun friends and family! It was hot but the light was beautiful during the ceremony. They waited to see each other until the ceremony and you can tell the joy on Jordan’s face as he watched his bride walk that long walk to him! Don’t you just love that walk at the Springs Venue?! 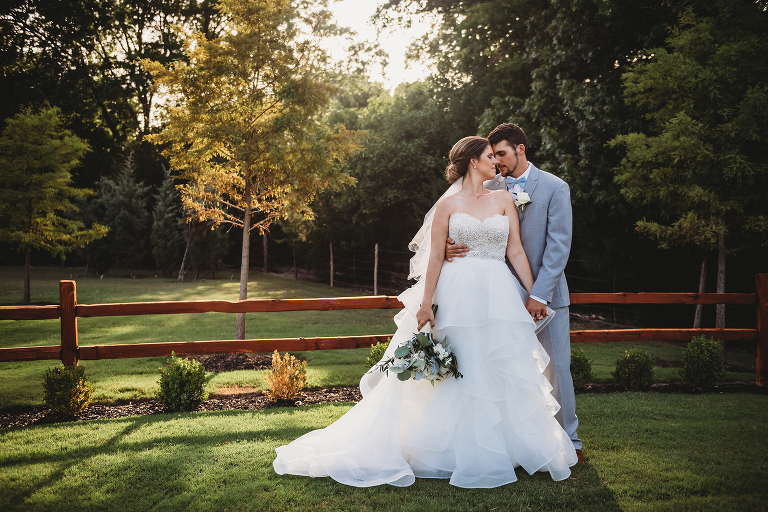 So dramatic and romantic, especially with a beautiful flowy ball gown like Brenna wore. And that walk back as husband and wife is just as romantic! 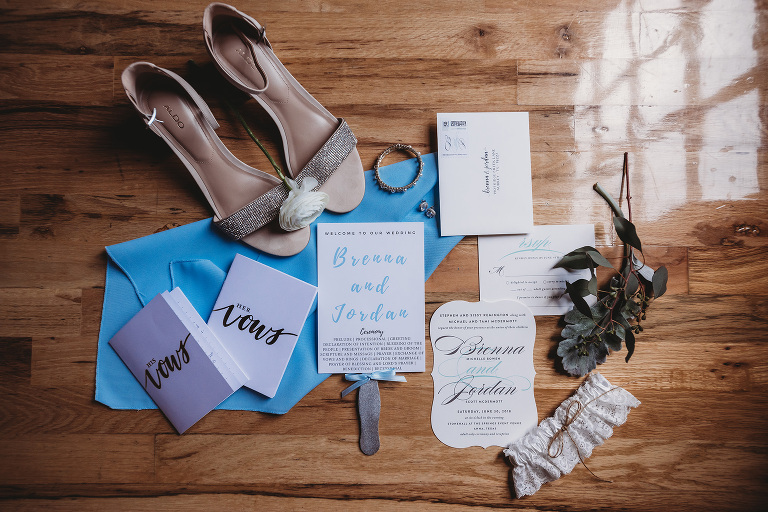 Blue is the wedding color of the summer and we’ve seen all shades. But this soft baby blue stood out so pretty in pictures and the girls looked absolutely gorgeous! We loved all the soft colors! They were simple and understated but set the mood for the whole day. They planned such an awesome wedding day and everything went off without a hitch. The party was amazing and the dancing went on strong all night long. We may or may not have been out there dancing along with them. 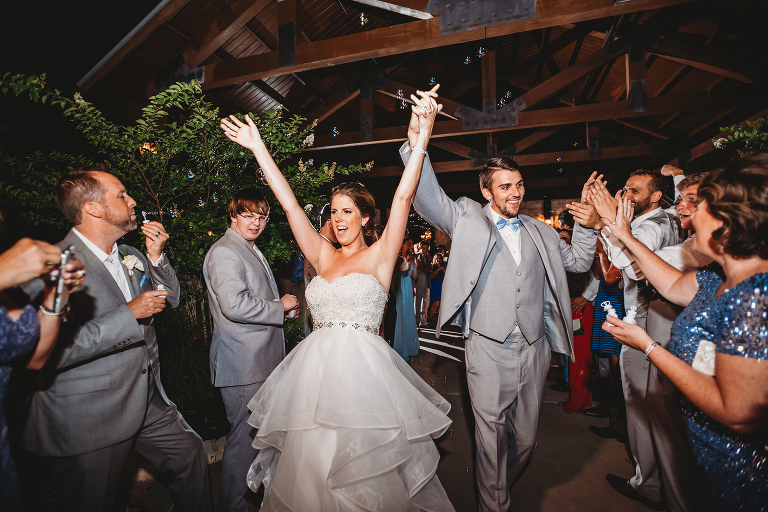 We love when couples let loose, have fun, and show their true selves during the reception! We get the best pictures that way! We love our job but it’s so fun to get to party with fun people and be apart of their day, not just hired vendors. We are so happy we got to be there to celebrate with this awesome couple and cannot wait to see how their lives change and grow over the years. And now that they’re wedding is over and they are married, I get to post some of her bridals too! 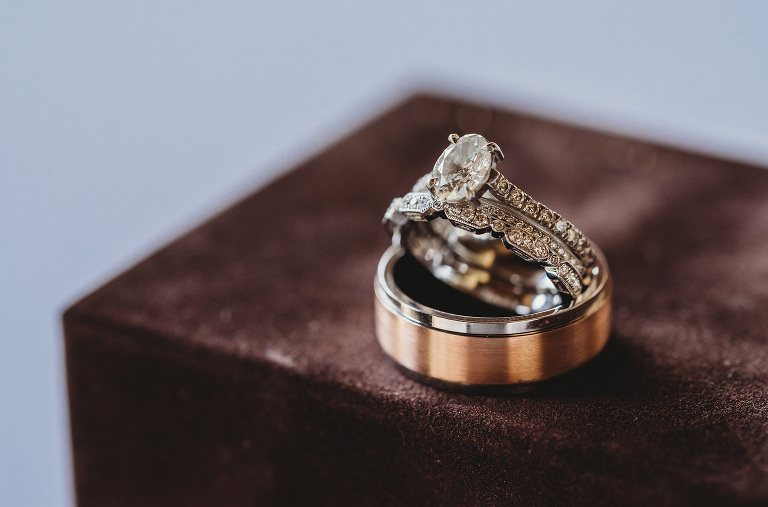 Thanks to these awesome vendors, their wedding day was magical! Congrats you two! Brenna + Jordan | The Spring Event Venue Anna from Silver Bear Creative on Vimeo.